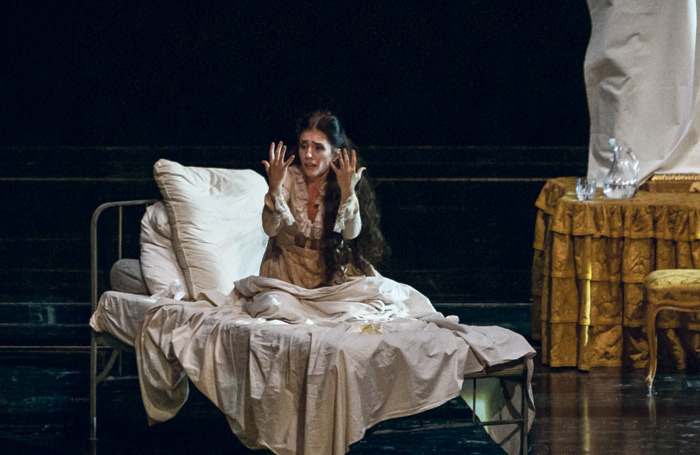 For years, Albanian soprano Ermonela Jaho had longed to sing at the Royal Opera House. She had built a solid career across Europe but the lack of a visa meant she had been unable to audition at Covent Garden. Then, one day in 2008, her management received a call out of the blue. Jaho made her way to one of the studio rehearsal rooms where they explained her basic moves in Richard Eyre’s production. They adjusted Violetta’s dress for her and she had a quick chat to conductor Maurizio Benini about tempos. Apart from being briefly introduced to her two co-stars, Jaho had not even met the rest of the cast before going on. She went on to triumph that evening. “It felt unbelievable. The audience was waiting for someone else but appreciated my effort and it was like falling in love.” She would go on to sing two more performances in the same run and has returned repeatedly not only for La Traviata but also Puccini’s Madam Butterfly, Suor Angelica and La Boheme, as well as Massenet’s Manon. Now considered one of the world’s leading sopranos, appearing regularly at major houses, and winner of the readers’ award at the 2016 International Opera Awards, the charismatic Jaho is once again back at Covent Garden as Violetta. She grew up in Albania during the communist era and remembers as a child singing songs about the dictator Enver Hoxha “and how happy we were in the happiest country in the world”. Singing, in fact, became vital as a means of expression for the shy young girl, and at the age of 14 she began to train seriously. To do so, she had to learn an operatic aria. Needing to learn something about the art form, she went with her brother to the opera in the Albanian capital Tirana to see La Traviata. “From the first three notes, it was something magical to me. I said to my brother: ‘I’m going to die if I don’t sing Traviata once in my life.’ ” Now she has sung the opera 256 times. During Jaho’s teenage years, Albania slowly began to open up to the outside world. When she was 19, the Italian soprano Katia Ricciarelli came to Tirana to audition young singers for her masterclasses in Mantua. Jaho was selected, though when she moved to Italy “with big dreams but empty pockets”, as she puts it, her years of advanced training there – which continued at the Accademia Nazionale di Santa Cecilia in Rome – were a struggle. But gradually she began to win prizes in major competitions, the money gained subsequently paying for travel and hotels to enable her to audition in other cities. As part of one award she sang Suzel in Mascagni’s L’Amico Fritz at the Teatro Piccolo in Milan; but her first major debut – another ‘jump-in’ as singers call them, when both the scheduled sopranos due to appear as Mimi in a double-cast production of La Boheme cancelled – was at the Teatro Comunale in Bologna, an important opera house. What are your next jobs? La Rondine (Berlin), La Traviata (Berlin), Madama Butterfly (Munich, Wiesbaden), Suor Angelica (Munich) and Anna Bolena (Sydney). Don’t aim for perfection; aim to find the key to your soul. When you find that key, you will find the key to humanity. Be yourself. If they don’t like you, never give up. Keep working and become so good that they can’t ignore you. If you hadn’t been an opera singer, what would you have been? Appearances followed outside Italy in substantial theatres such as Toulouse, Geneva and Munich, and over three consecutive seasons she also made a conspicuous mark at the Wexford Festival in Ireland, where she received the best singer award in 2000. 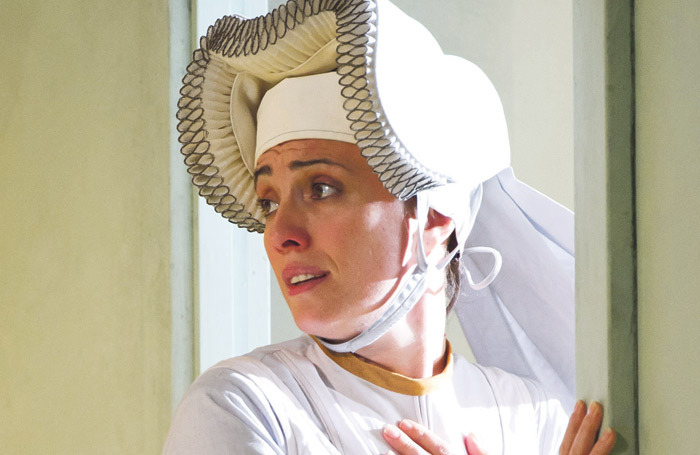 Another of her great roles and a performance that regularly moves audiences to tears is Puccini’s Suor Angelica – the story of a young woman placed in a convent by her family after she gives birth to an illegitimate baby. After seven years of silence, Angelica’s unsympathetic aunt arrives and informs her that the child is dead. Broken, Angelica commits suicide, but as she is dying she is granted a heavenly vision of her son. How does it feel to embody this painfully tragic character? “It’s so special, beyond every other role I’ve done so far,” she says. 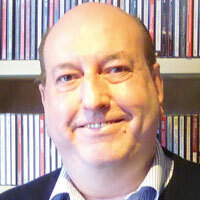 Jaho first sang it in Richard Jones’ acclaimed Royal Opera production of Il Trittico, Puccini’s sequence of three contrasting one-act operas of which Suor Angelica forms the central piece. In London, too, she has established an important relationship with the record company Opera Rara which – as its name suggests – explores neglected repertoire. For them she has recorded two forgotten but important works – Leoncavallo’s Zaza, about a music-hall artist, and the first version of Puccini’s first opera Le Willis, based on a Giselle-like story and not performed in this early edition since 1884.